Der Šenster Gob (translated from Yiddish as "the most beautiful gift") is an acoustic band from Prague playing Gypsy, Jewish and Balkan music. You might have seen them busking in the streets of your city and then playing in your favourite bar, as they are travelling all around the world in their romantic caravan. 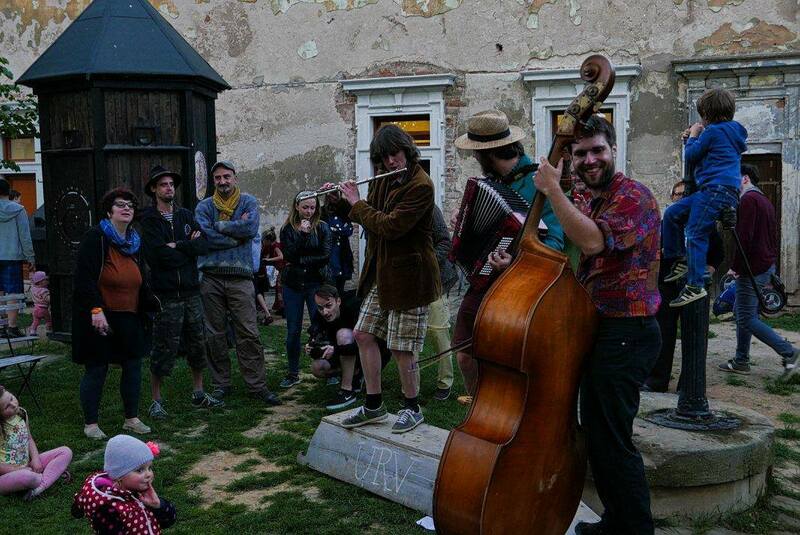 This time Der Šenster Gob will play u Hrušky, small wine shop with cozy and friendly atmosphere.